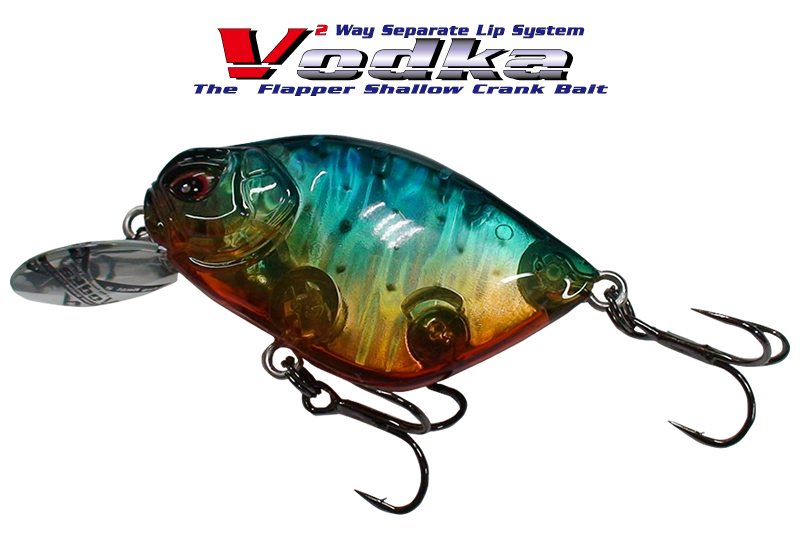 Flat side of cranking bait [Vodka] puts the two way impact appeal into the basic concept; enable to switch between powerful and weak actions with a simple body. Using Ordinal separate lens lip,you can make different action appeals between front and back sides. Making the body thickness to 1.3mm,as well as the inside body thickness to 1mm of ABS rolling gauge plate: a tough body is now in real. The feature on a flat side is to appeal a big,dynamic action by the grip of the water current at the time you install the standard of original separates lip. Coupled with the flat body,it is enable to highly appeal towards wide flushing and strong water churn. 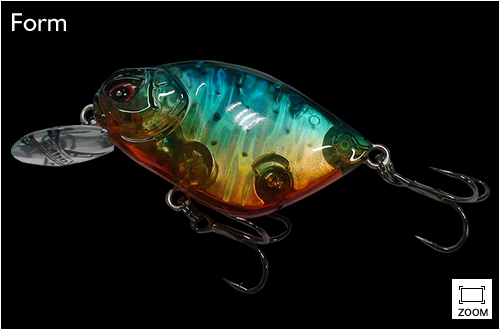 When replace lips,this shape of dome make possible ward current,natural action appear finely.